Oh, the merits of retaliation. 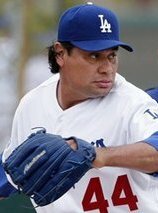 On April 16, Dodgers right-hander Vicente Padilla broke Aaron Rowand’s face with a pitch, putting him out of action for two weeks. Some feel that a hit batsman, even an unintentionally hit one, merits retaliation, because points must be proved about topics such as willingness to take whatever it is an opponent wishes to dish out, or not. Padilla’s strike may well have been unintentional, but that doesn’t alter the fact that he holds the distinction of being the game’s preeminent headhunter. That, by itself, is reason enough for suspicion. The Giants had an opportunity to retaliate that day. Padilla came to bat the very next inning, Los Angeles led 9-2 at the time and there were two outs in the inning. A perfect set-up. Instead of drilling Padilla, however, Giants reliever Waldis Joaquin pitched to him, getting him to ground out to end the fifth inning. Dodgers manager Joe Torre pinch-hit for Padilla the next time he was scheduled to bat. Discussion around the Bay Area mounted a number of theories as to why the Giants chose not to retaliate. It could have been that Joaquin, just 23 years old and with fewer than 15 innings of big league experience, simply didn’t know any better, and hadn’t received specific instructions. It could have been that the Giants’ braintrust wanted some time to assess the situation, knowing that they’d have other chances during the season to attack their nemesis. To complicate matters, Padilla broke an unwritten rule after the fact by failing to call over to the Giants dugout to check on the guy he’d seriously injured. By itself, said some, that was justification for a retaliatory pitch the next time San Francisco saw him. Well, San Francisco saw him yesterday for the first time since the incident and … nothing. Padilla’s first two at-bats came with a runner on base and nobody out; the score was 0-0 the first time, and the Dodgers led 2-0 the second. Giants starter Jonathan Sanchez can hardly be faulted for his desire to minimize the damage each inning, rather than extend it. It was enough, however, for umpire Tom Hallion to warn both benches, and put an end to Casilla’s endeavor. Padilla skated unscathed, eventually striking out. If there was a message sent, it was a mild one. After the game, Rowand refused to discuss anything that had to do with Padilla. Interestingly, this exchange signaled a pattern—not with the Giants, but with Padilla himself. It was Padilla, after all, who instigated the series of events that led to White Sox manager Ozzie Guillen berating rookie pitcher Sean Tracey on the Comisky Park mound in 2006. Guillen quickly identiﬁed Texas’s Hank Blalock as a target for retaliation after Padilla twice hit Chicago catcher A. J. Pierzynski during a game. That was the plan, anyway. Filling the space between conception and execution, however, was Guillen’s choice of executioner: rookie Sean Tracey. The right-hander had appeared in all of two big-league games to that point and was understandably nervous. Even under optimal circumstances he didn’t have terriﬁc control, having led the Carolina League in wild pitches two years earlier, while hitting twenty-three batters. When Tracey was suddenly inserted into a game at Arlington Stadium with orders to drill the twentieth major-league hitter he’d ever faced, it was hardly because he was the best man for the job. To Guillen, Tracey was simply an expendable commodity, a reliever whose potential ejection wouldn’t much hurt the team, especially trailing 5–0, as the Sox were at the time. If the manager knew his baseball history, he might have realized that precedent had already been set in this regard. 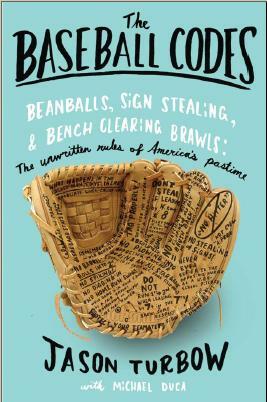 In 1942, Boston Braves manager Casey Stengel, wanting to get even with the Brooklyn Dodgers for stealing his signs, ordered his own rookie pitcher—greener even than Tracey, appearing in just his second big-league game—to hit Dodgers shortstop Pee Wee Reese. Faced with an assassin’s assignment, the nervous lefty tried three times to hit Reese, and three times he missed. The following day, a fuming Stengel shipped him back to the minors, an action he would later call his biggest mistake as a manager. It would be four more years before Warren Spahn returned to the big leagues (a span extended by his service in World War II), by which point he was better prepared to handle the rigors that came with his promotion. The same probably won’t be said about Sean Tracey. When the right-hander’s ﬁrst pitch to Blalock ran high and tight but missed the mark, Tracey did what he’d been taught in the minors, sending his next pitch to the outside corner in order to avoid suspicion. Blalock tipped it foul. When Tracey’s third effort was also fouled back, for strike two, the pitcher altered his strategy and decided to go after the out, not the batter. According to his manager, it was the wrong decision. After Blalock grounded out on the ﬁfth pitch of the at-bat, Guillen stormed to the mound and angrily yanked Tracey from the game. He didn’t let up after they returned to the dugout, berating the twenty-ﬁve-year-old in front of both his teammates and a television audience. With nowhere to hide, Tracey sat on the bench and pulled his jersey up over his head, doing his best to disappear in plain sight. Two days later, without making another appearance, he was returned to the minor leagues, and during the off¬season was released. As Raines said, however, it’s not as easy as it looks. A designated driller carries the expectations of twenty-four guys, plus coaches, plus fans. If he tends to internalize things the task can become difﬁcult, with the neces¬sary steps to intentionally hitting someone growing surprisingly involved. Santiago Casilla can attest to that much. San Francisco next sees the Dodgers on July 19. The Code says that the Giants had their shot, and they blew it, so the slate should be wiped clean. That’s not always the way things work, however. Tracey was requesting a trade the following spring training, he wasn’t released. A.J. dove into a change up the second time he got hit. Retaliation is not just on an off speed hit by pitch. Its funny how Tracey said he learned his lesson in his first interview back in the Bigs a month later when the White Sox played the Yankees on the day where Mariano Rivera got his 400th save. He never went into detail about what he learned. Getting back to the at bat against Blalock, Hank was in the back of the batters box already aware that he was going to be hit. His second pitch wasn’t fouled off, it was a taken strike. The third pitch was another brush back to the lower half. Blalock then swung on the fourth pitch grounding out to second. Sounds like he learned how fast a situation can turn into a huge cover up. Tracey was sent down that night, the unrelated trade was for a guy who was represented by his same agent. Collusion at its finest. Why did Jon Garland missed Ian Kinsler two times a month later? No one in the players union likes how A.J. plays the game. He antagonizes without following through for himself.